"This is madness! This is NOT 300!" Director Zack Snyder’s digital visual style is often the most appealing aspect of his films (300, Watchmen). In his newest visual assault, Sucker Punch, this is practically the only pleasing part. The girls notwithstanding, this is a good-looking movie, and he knows how to direct effects laden action scenes. He makes a point of using the camera as effectively as he can so that even in the most audacious and complex action sequences, you can still easily understand what is happening. The plot revolves somewhat around a group of girls who are imprisoned in an insane asylum. The newest girl wants to plan an escape with the others. For her to gain confidence and to mentally escape the cruel world that has been forced upon them, she often fantasizes about crazy war worlds where she can metaphorically? battle inner demons which represent the evil of the asylum??? I think that’s what they were going for. The gimmick of this movie (other than having every girl be of a supermodel-esque beauty) is these ‘fantasy worlds’. There are about 4 of them throughout (a samurai fight, a WWII battle, a dragon castle and a train with robots) running at about a solid 10 minutes each. I will not deny that these mini-movies are outstanding action set pieces. The WWII scene in particular is a feast for the eyes. The problem is that very little effort is put into making these be related to the real world the characters inhabit. There are some linkages, but it is more of an excuse to have a girl in a giant fighter plane battle a fire-breathing dragon overtop of a sieged castle infested by orcs battling other girls with assault rifles and shotguns. Sounds pretty cool and is, but is ultimately useless and creates too much of a juxtaposition with the boring real world. 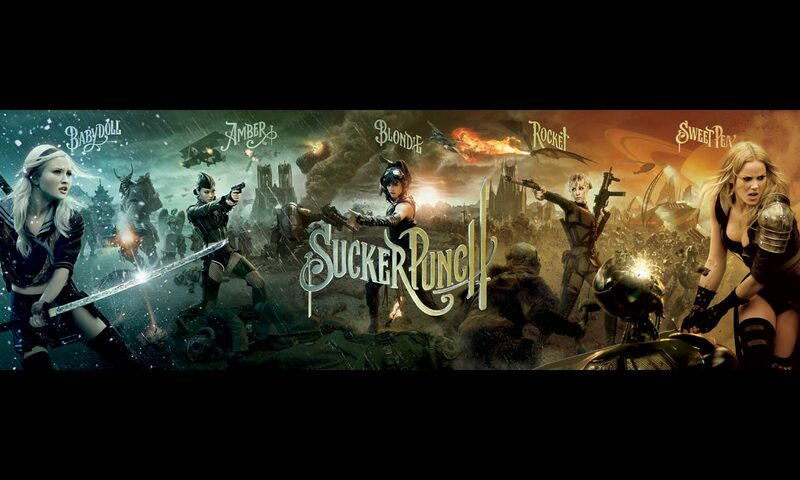 Sucker Punch is somewhat similar to Snyder’s 300: perfect human specimens constantly battling hoards of villains with a rocking soundtrack, little to no plot and digital action scenes trying to be as cool as possible. But whereas I like 300, the key difference is that 300 knows that it is a big dumb action movie and sticks with that. 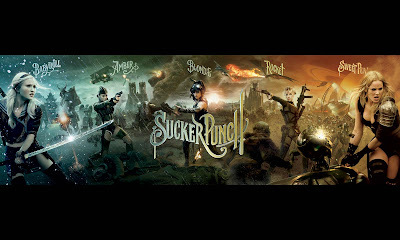 Sucker Punch on the other hand is big and dumb, but doesn’t want to admit it and tries to be more while making attempts at sentimentality that fail. Summary: For good and bad reasons, it has Snyder’s usual flair for coolness. Every frame is shot to try to make it look as ‘cool’ or ‘bad to the bone’ as possible, while taking away from the narrative purpose of the camera. Despite the great WWII scene, there is nothing outstanding about Sucker Punch that you can’t see in 300 where it is done properly. This movie fell hard and lands at #1126 out of the 1506 movies I’ve seen [on flickchart.com].